Ubinas is Peru's most active volcano. 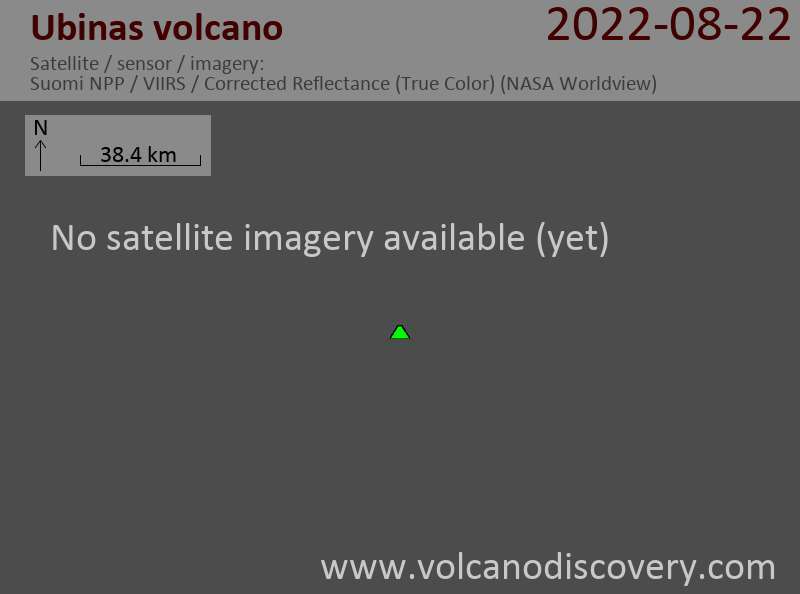 A small, 1.4-km-wide caldera cuts the top of the volcano. The steep-walled, 150-m-deep summit caldera contains an ash cone with a 500-m-wide and 200 m deep crater Debris-avalanche deposits from the collapse of the SE flank of Ubinas about 3700 years ago extend 10 km from the volcano. Widespread plinian pumice-fall deposits from Ubinas include one of Holocene age about 1000 years ago. Holocene lava flows are visible on the volcano's flanks, but historical activity, documented since the 16th century, has consisted of intermittent minor-to-moderate explosive eruptions. The ash plumes reached more than 2000 m and drifted northeast and light ash falls occurred in the villages of Santa Rosa, Phara Yanapuqui, and Ubinas at 5 km SE of the volcano. Peru's Geophysical Institute (IGP) reported very significant changes in the volcano's seismic activity recently. After a gradual decrease of activity during the first half of the year until May, seismicity started again to pick up since June, indicating a new phase of internal pressure build-up. This trend has become more pronounced since 9 September when volcano-tectonic quakes, caused by internal rock fracturing (possibly due to intruding magma), appeared in greater numbers and with greater energy. Their location was at shallow depths of 3.6 km beneath the summit.